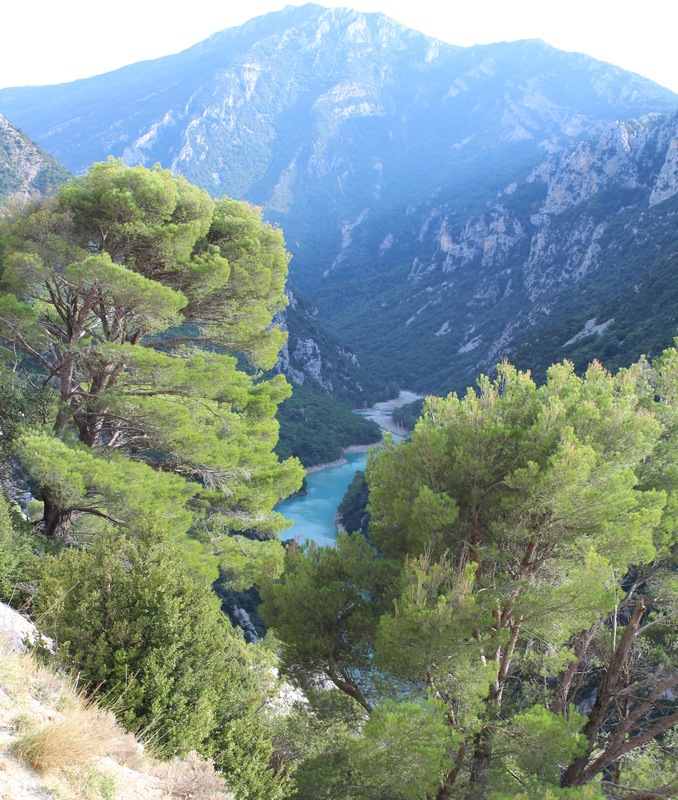 The road to Gorges du Verdon leads us through stone villages, olive groves and fields of lavender, towards a hazy mountain range. Lavender fields of Provence – imagine these in flower. Phew. 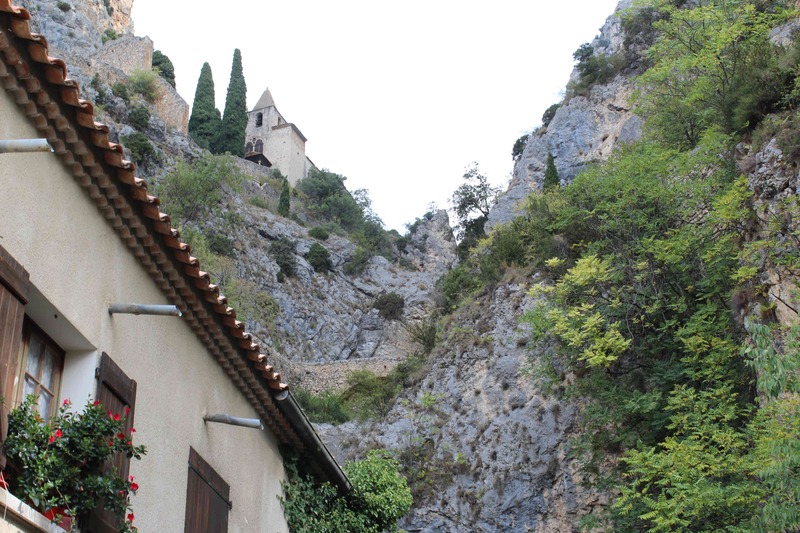 The plan is to drop into the tourism office in Moustiers Sainte-Marie to pick up a map for the gorge walks. But we are about to be stunned. 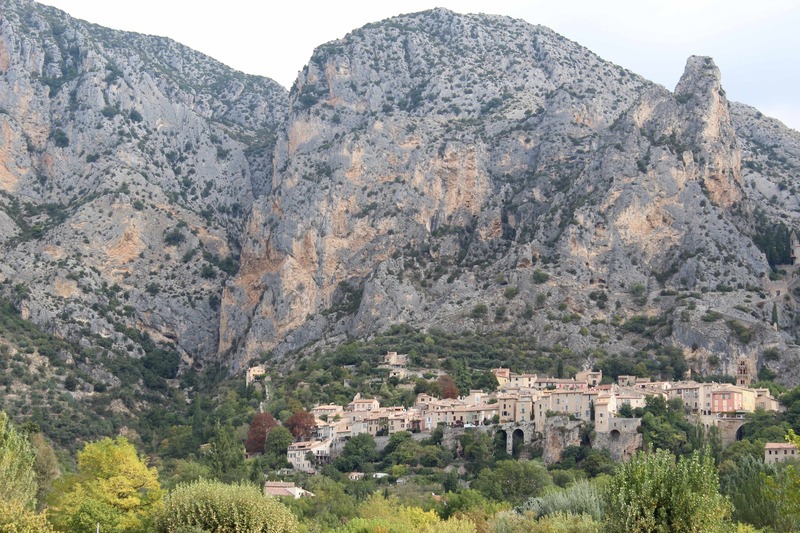 We round a sweeping bend, see the ancient village of Moustiers nestled into the mountains, and experience the first of many Oh.My.God-moments we’ll have today. 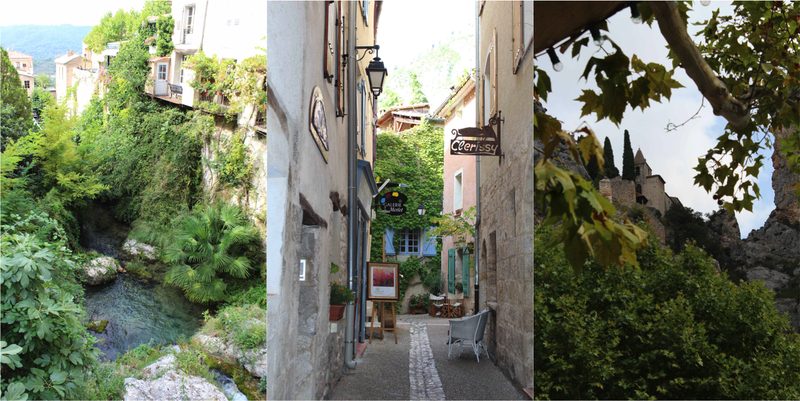 But first, we walk into absolutely the most beautiful village we’ve seen in France so far – and that’s saying something. Okay, that’s enough Zen for now. There’s that ‘hill’ above the church to get up. EB is gleeful to discover there is a way. Weaving ever upwards, we follow yellow way-finding markers to leave the village far below us. When we finally reach the top, we are breathless (in more ways than one). But others have taken the OMG moment to the next level, soaring above us in paragliders. Eventually, we follow the path down to meet an ancient Roman roadway carved into the mountainside. It leads us down to the village, where we join locals and tourists kicking back, sharing gossip and wine. We soak up the sun before it dips behind the mountains and the village slips into shadows. 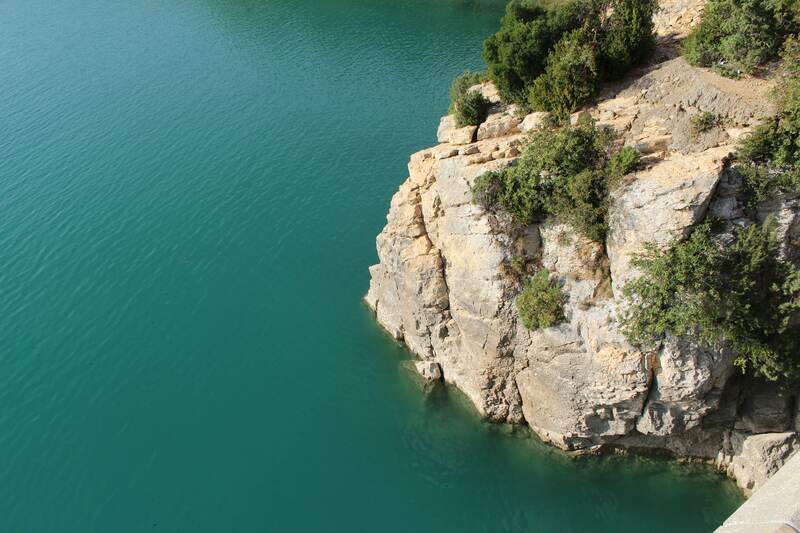 It’s time to find the Gorges du Verdon… and be smitten yet again. The road winds precariously around the mountains, with narrow gravel stopping-places, where you can fight vertigo to peer thousands of metres into the gorge below, and gasp over the emerald river snaking along it. The kayaking businesses are closed for the season, but we’ve already vowed we’ll be back. Who could resist this? So put this one on your must-see list. You may wear out your camera – and possibly your legs – but, like us, you won’t be in a hurry to leave. 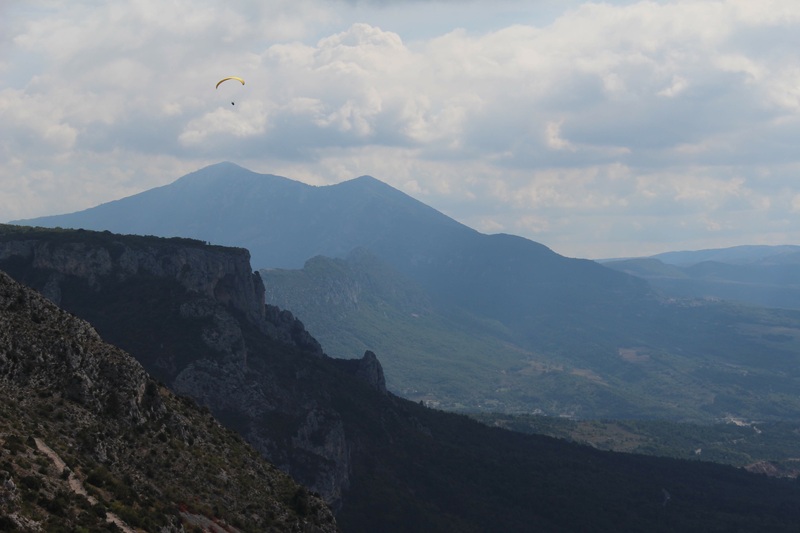 This entry was posted on Friday, October 5th, 2012 at 9:24 am	and tagged with Gorges du Verdon, Moustiers, paragliding, Provence, vacation and posted in France, Provence, Travel, Uncategorized. You can follow any responses to this entry through the RSS 2.0 feed. « Totally wild in the Camargue. Perhaps.